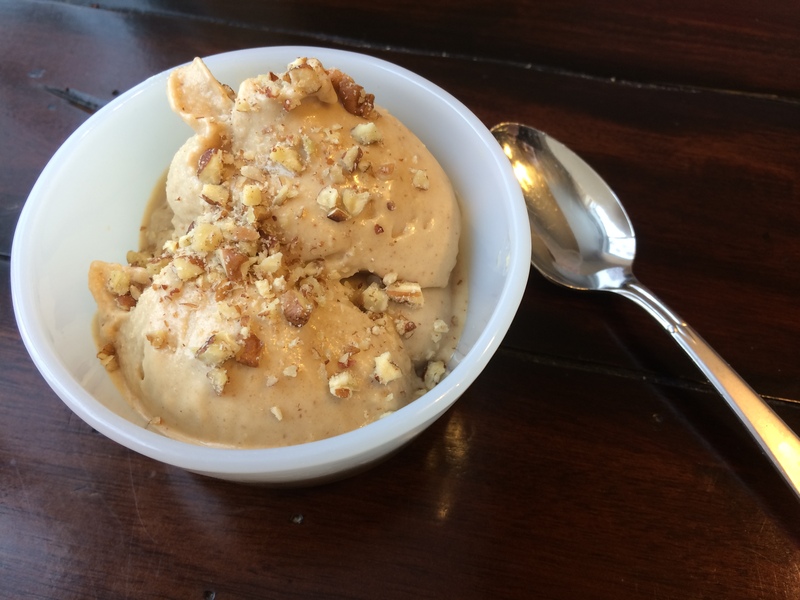 Our daughter Annabelle turned 8 last week and she requested cake (I decorate cakes so they love for me to make a fancy, personalized one) and this homemade peanut butter ice cream. The cake, though also homemade, is not healthy. I try and use more whole food ingredients, but I usually do at least half white flour, and I make butter cream frosting using butter and powdered sugar, rather than Crisco (which is not real food). Anyway, back to our ice cream. ALL my kids love this ice cream, as do Scott and I, and it’s made from all whole food ingredients so I am happy to have them enjoy this treat on weekends or birthdays etc. 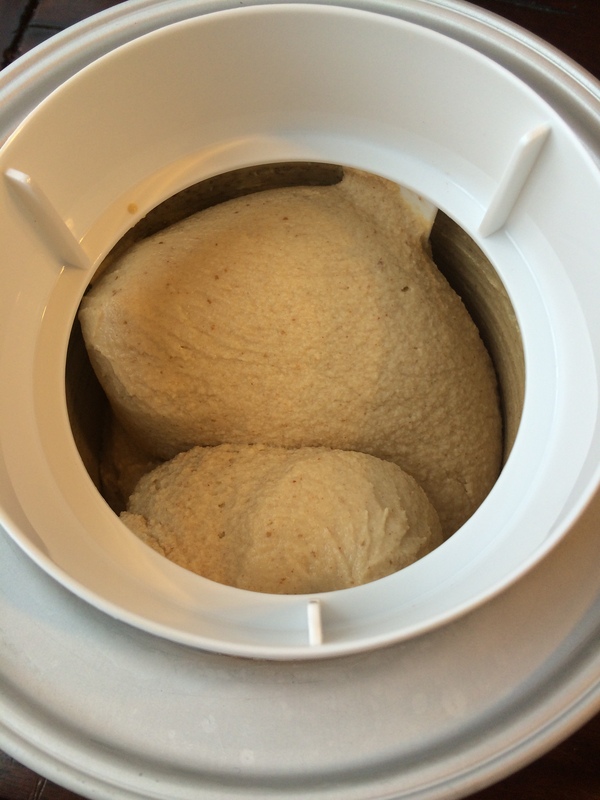 If don’t have an ice cream maker, try blending up all your ingredients and freezing them in a couple of tupperware containers over night and that should work well too(I say ‘should’ because I’ve only frozen leftovers, but not an entire batch). When you take it out of the freezer, just be sure to allow it to sit out on your counter at least 10 minutes before scooping because it gets pretty solid. This is a young Thai coconut. They sell them at a lot of grocery stores, in the produce area, usually near the lettuce etc, but I find them cheapest at Sprouts or Asian food markets. I bought this one for $1.50 on sale at Sprouts; at Whole Foods they were like $4 for one! 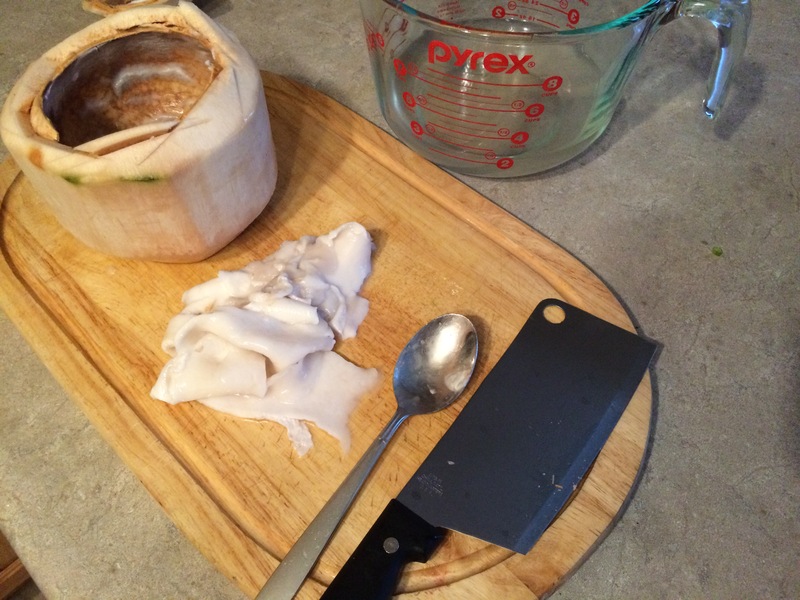 I usually need the meat from 1-2 coconuts for this ice cream recipe. 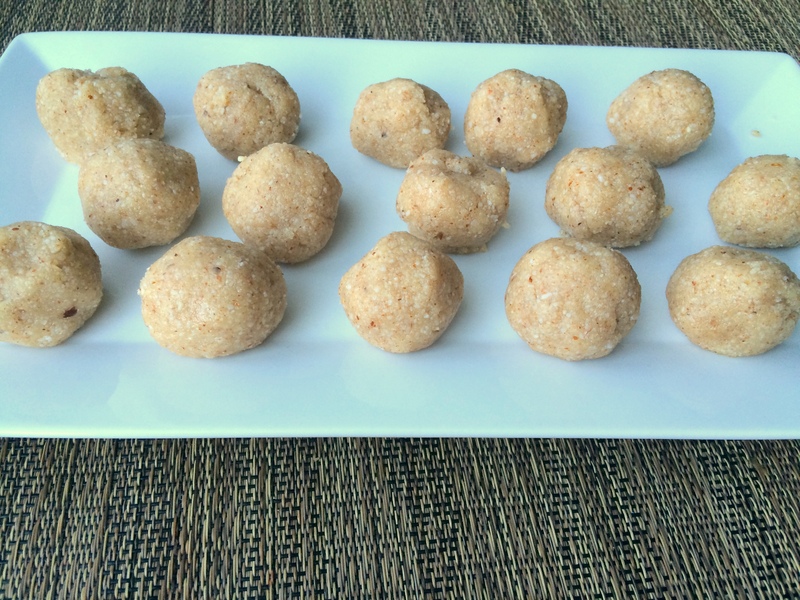 Oftentimes, I’ll buy the coconuts, use the water and freeze the meat for later use and so if I have a lot, I’ll use 2 cups of meat in the recipe, but if I don’t have any saved in the freezer, I’ll usually just use one cup in the recipe; both taste great! I use a sharp cleaver knife and, with one hand behind my back so I don’t hack my other hand, I smack the top of that coconut (near the end with the point), then I’ll turn it, and smack it again, and I repeat this until I’ve gone around the coconut and can stick my cleaver part way inside where I’ve made cuts, and pry it open. This takes some practice, and some coconuts are easier to open than others. That is the hardest part of this recipe. 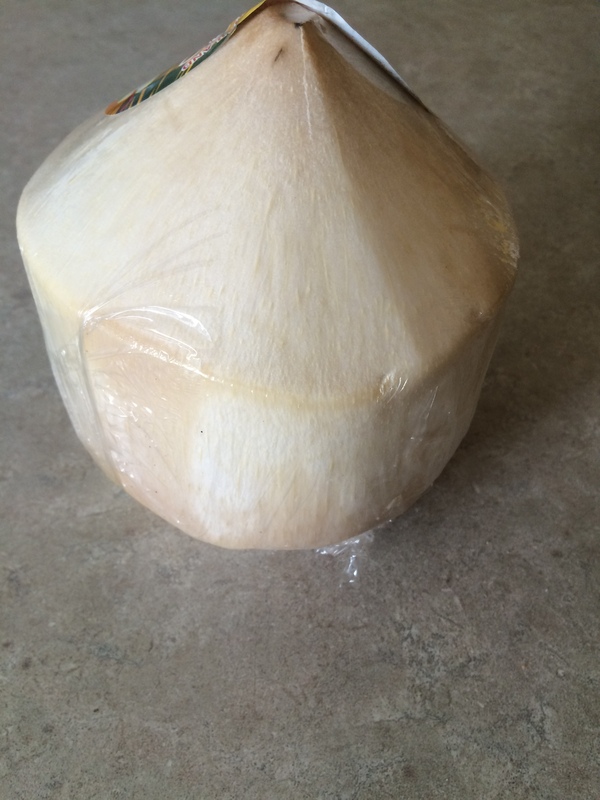 Once the coconut is open, pour the coconut water into a jar to save for a smoothie (or drink it) and then with a spoon, scoop out all the amazing coconut meat and set it aside. 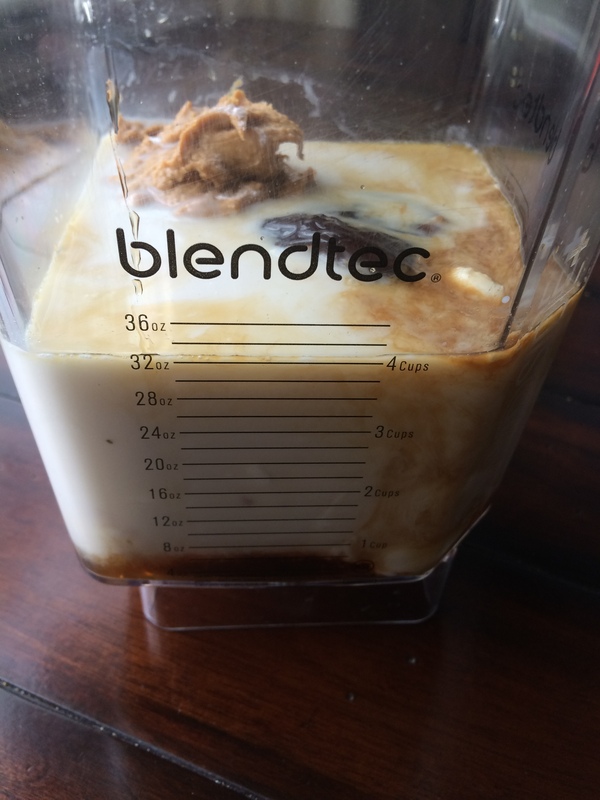 Place your coconut meat, almond milk, peanut butter, pitted dates(you can cut a slit with a knife and pull out pit, or I usually just pull the pit apart with my thumbs and grab pit), vanilla, salt and pure maple syrup into your blender and blend until smooth. Pour the mixture into your ice cream maker and process according to package directions (mine goes for about 20 minutes). It’s more like a soft serve when you eat it straight from the ice cream maker which we love, and then when we freeze leftovers (if there are any) and eat it another day, it’s harder like ice cream. Serve into individual bowls and sprinkle with chopped pecans, if you like, just before serving. Like I mentioned, you can freeze leftovers in a Tupperware container; when you’re ready to thaw and eat, pull it out and let it sit on your counter about 10 minutes before trying to scoop and serve. 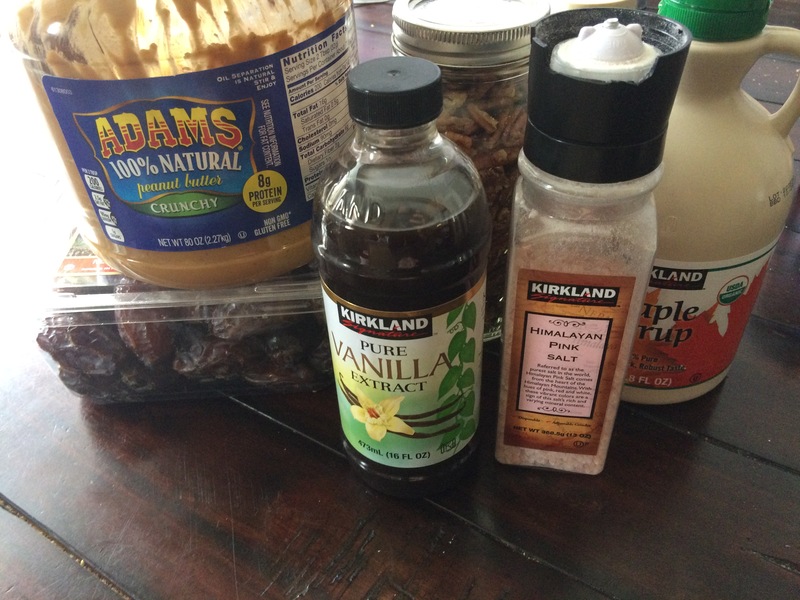 Combine all ingredients, except the pecans, into high power blender and blend until smooth. Pour into your ice cream maker and process according to manual instructions (my ice cream maker churns for 20 minutes and then it’s done!). Serve into individual bowls and sprinkle with chopped pecans just before serving. Can freeze leftovers in a Tupperware container. Make these to share with friends, or eat one or two and freeze the rest so you can pop one out and eat it when you need a sweet indulgence. These would be a nice treat to have out on Valentine’s Day, or you could even put a half dozen in a pretty clear plastic bag with a ribbon to close it off and give it to your sweetheart or a friend. 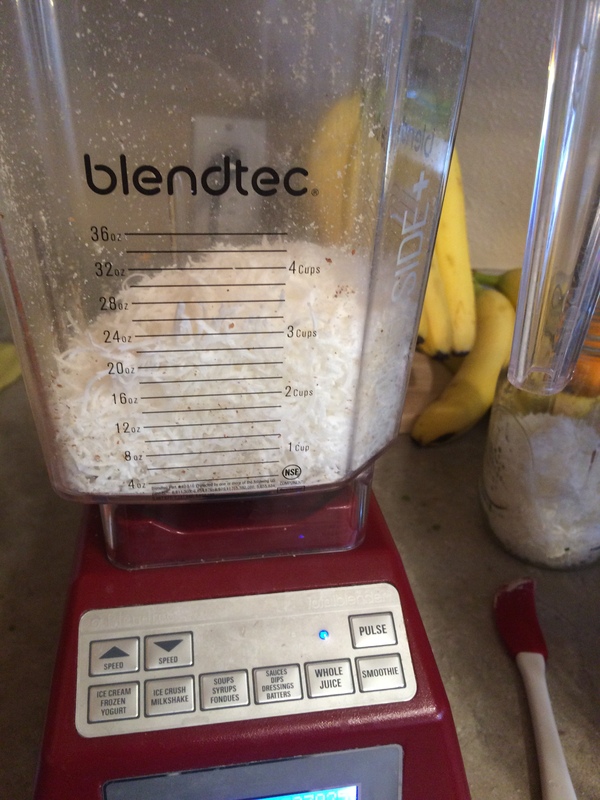 If you have a high power blender, you’ll grind your shredded coconut and almonds to a flour, right from your kitchen. 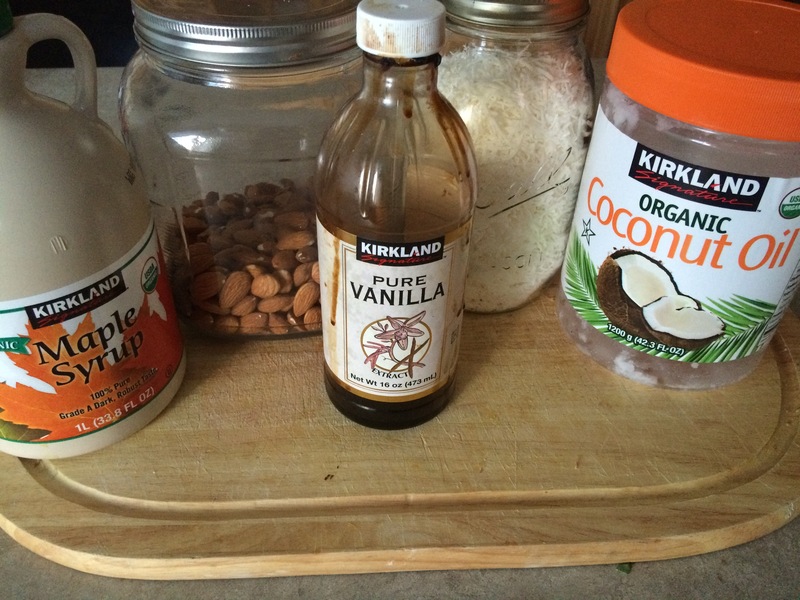 You can also use your food processor to grind up your coconut. If you don’t have a high power blender, you can find these flours at most grocery stores on the baking aisle near the health food and gluten free items. Put all the ingredients in your food processor and blend well. Then I like to take my cookie dough scoop, or you can use a tablespoon, scoop out dough, gently pat it into a ball shape, and place it on a plate. Repeat until you’ve used all the dough. Cover with plastic and refrigerate at least 10 minutes before serving (so the coconut oil has time to harden and they set up). 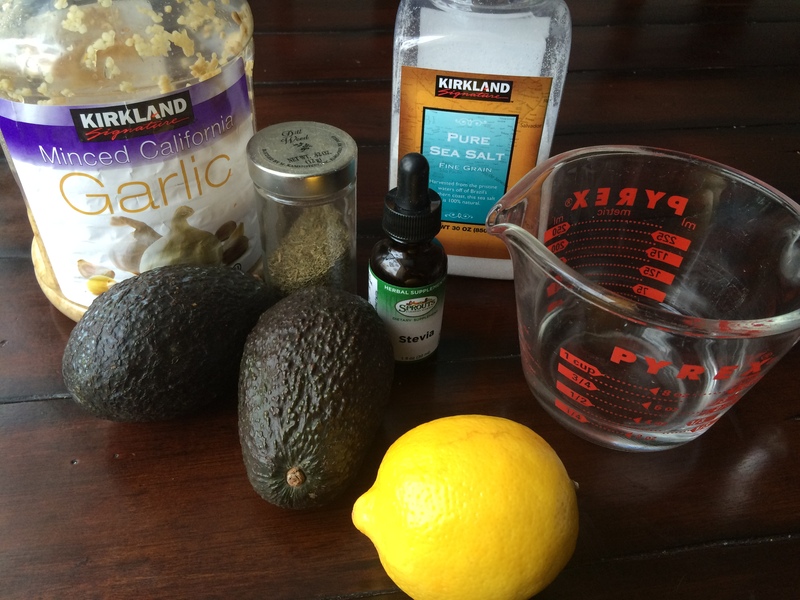 Combine all ingredients in a food processor and blend well. Scoop out about a tablespoon of the mixture using a cookie dough scoop or a tablespoon, and pat with fingers into a ball. Arrange on a plate, cover and refrigerate at least 10 minutes before serving so they harden and chill. 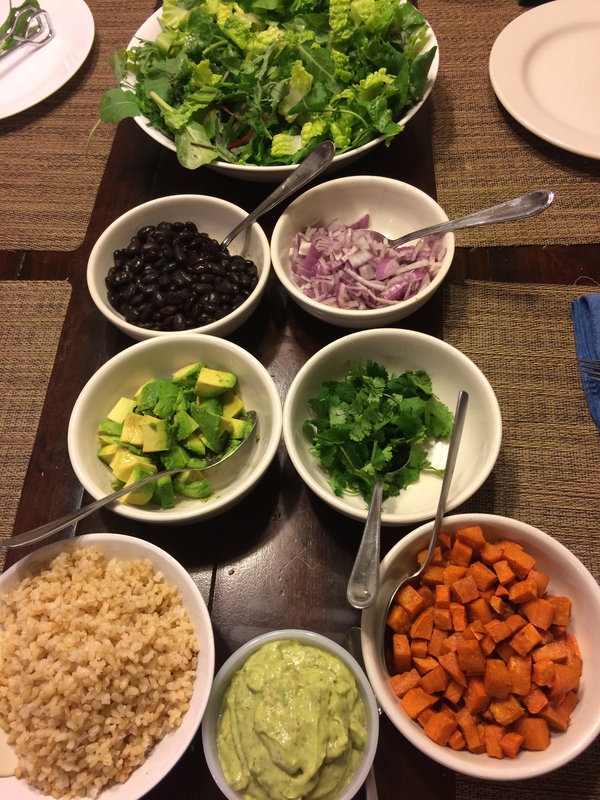 I love salads and eat them year round, but in the winter, I like to add some warmer, more filling foods like black beans, quinoa, sweet potatoes etc. 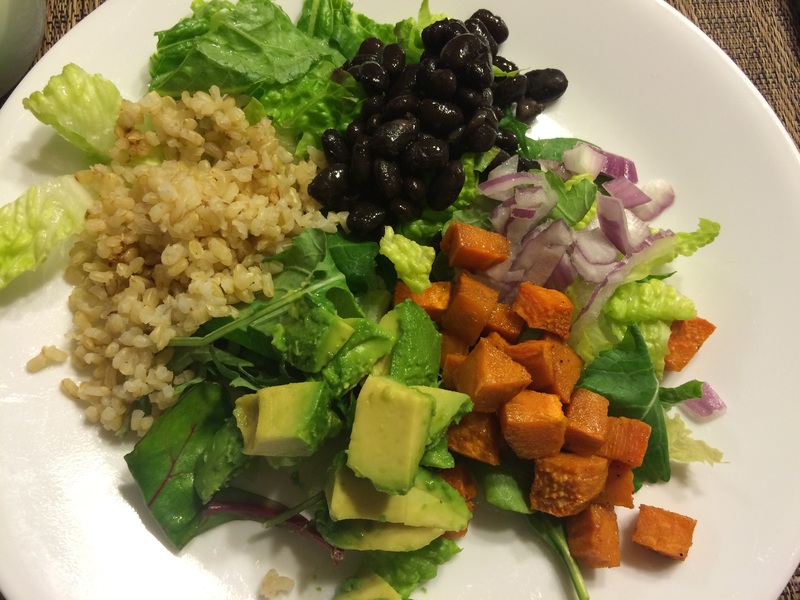 This salad recipe has them all (you can use brown rice or quinoa; I use whatever I have on hand in the fridge). 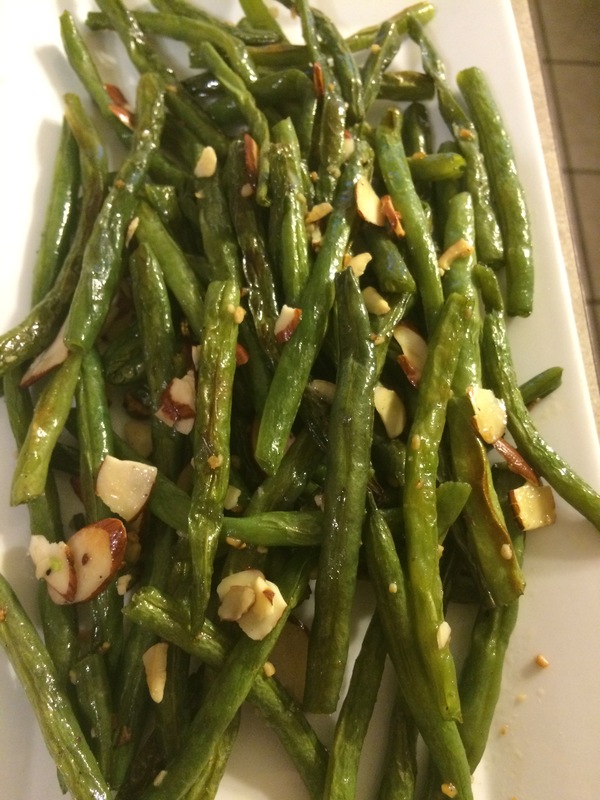 The amounts in this salad depend on how many people you are serving. It’s usually just me eating a salad at lunch, so I just pull out all the ingredients from the fridge and throw whatever I feel like on top of my bed of lettuce. 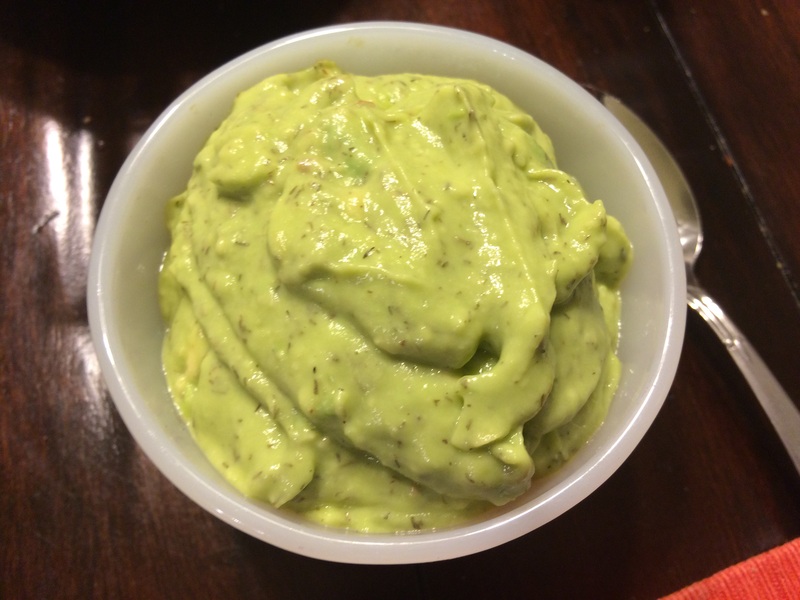 I’ve included a couple of recipes below 1) roasted sweet potato cubes and 2)creamy avocado dressing, both of which I love to have on my salad, but feel free to use another dressing you have on hand and leave out anything you don’t like. 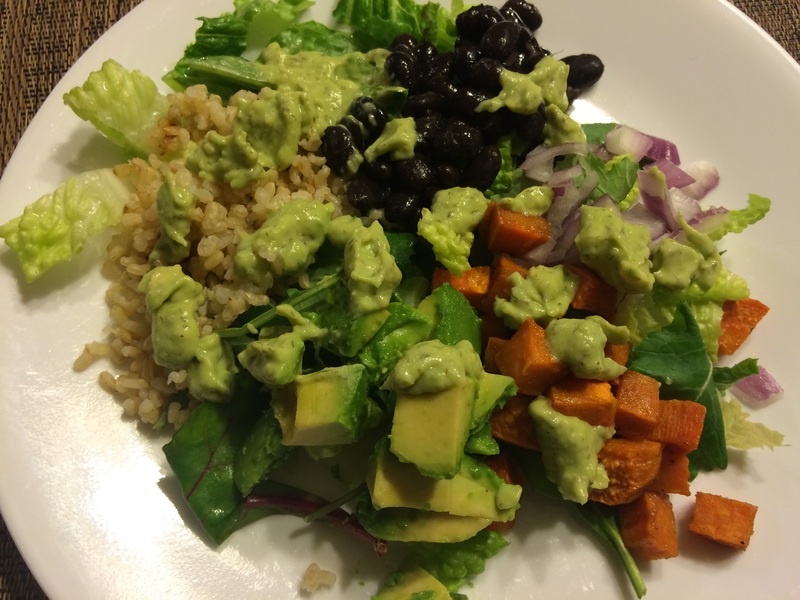 This salad is so filling and satisfying and packed full of amazing nutrients from all the various plant foods and grains. 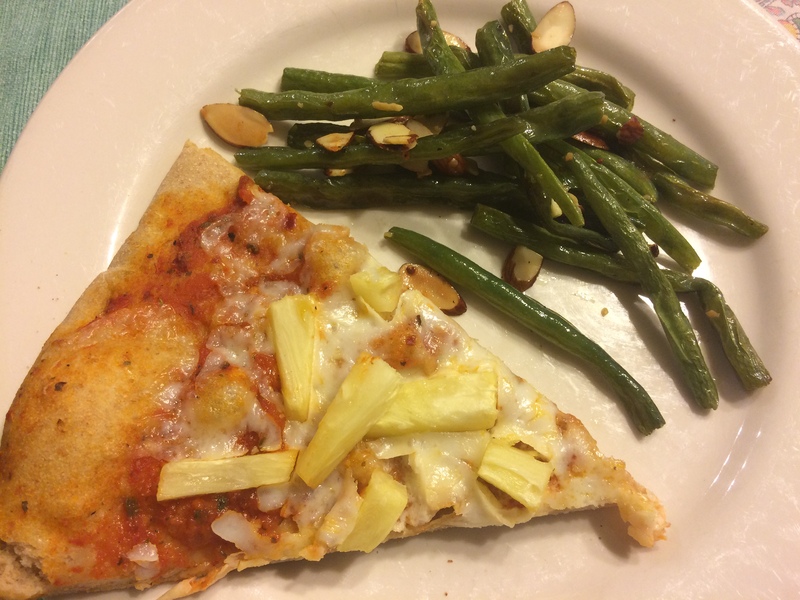 If you are having this for dinner with family or friends, serve it like you would Hawaiin Haystacks with all the ingredients, in individual bowls, out in the center of the table. 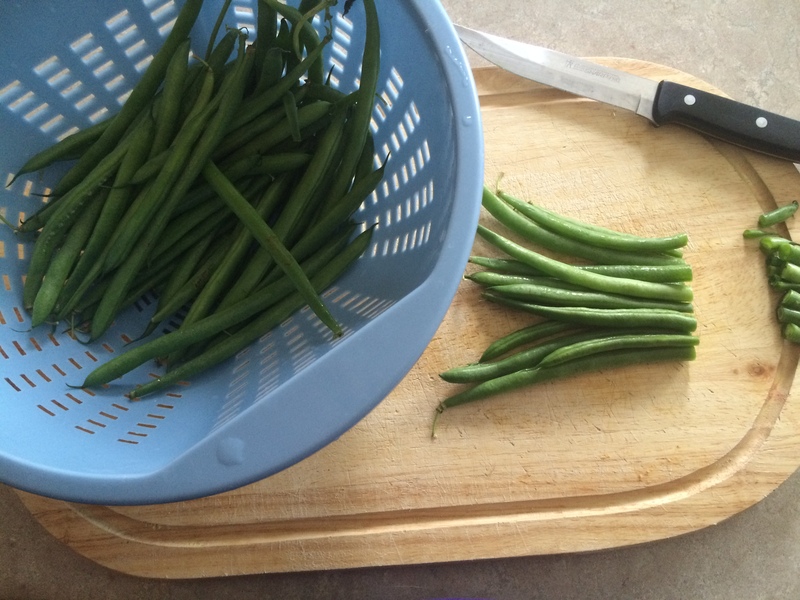 I would use larger bowls for serving the lettuce, rice and beans and the other ingredients are in smaller dishes. I usually serve this by starting with salad and then adding as much as I want of all ingredients listed (feel free to add some of your own that might go with this Mexican-styled theme). Preheat oven to 400 degrees. Line a 9×13 baking dish with tin foil. 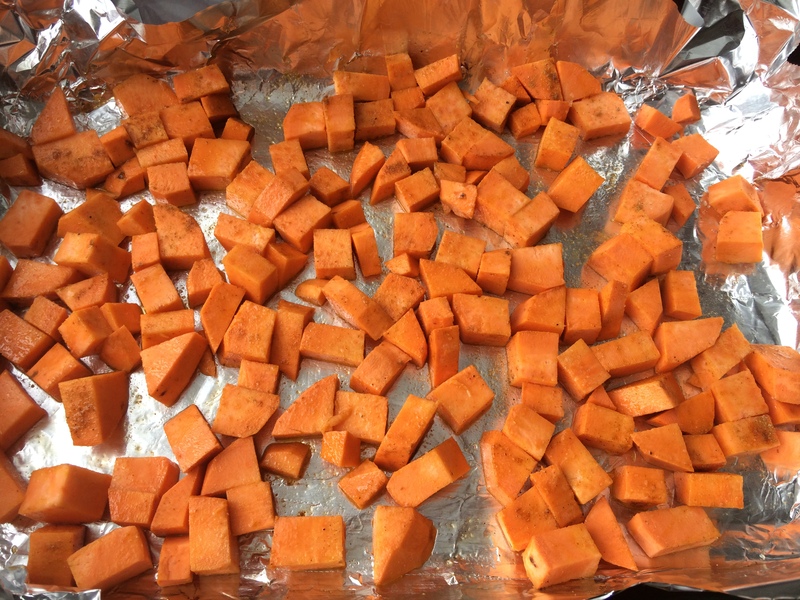 Place sweet potato chunks on foil, drizzle with oil and spices and then toss together with a large spoon. 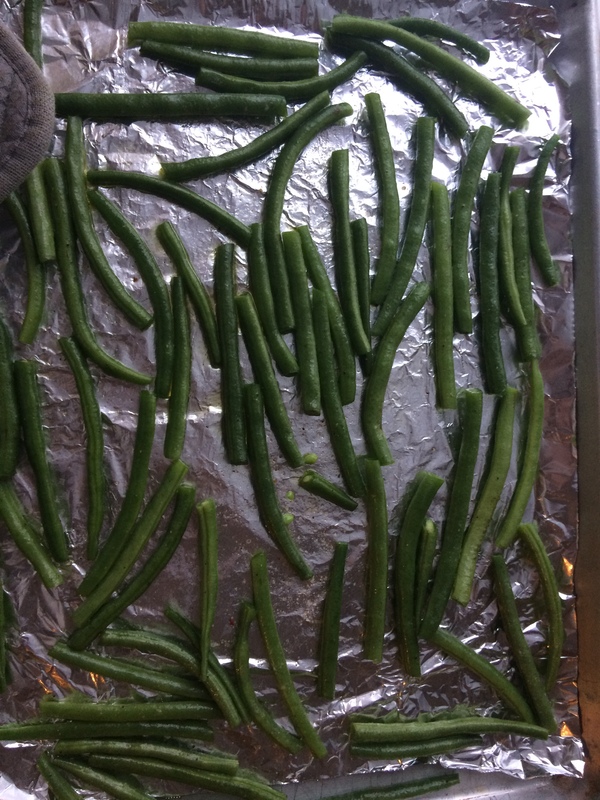 Spread out over the foil and bake for 20-25 minutes, or until edges begin to brown. 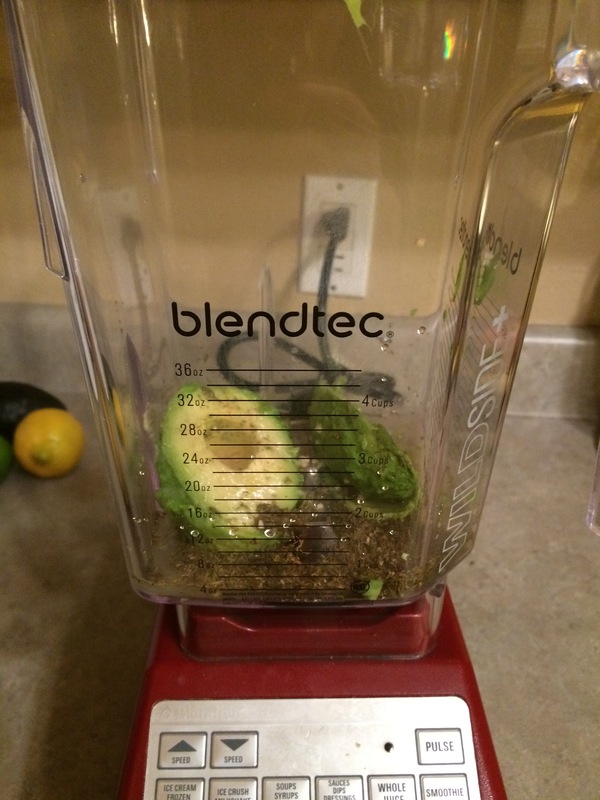 Cut the avocado in half and scoop out the flesh and put in a blender or food processor. Add the rest of the ingredients and blend until creamy and smooth (may have to scrape down sides with a rubber spatula and go again). This dressing can be used as a dip for vegetable sticks or tossed with greens for a salad.